The purpose of this policy is to provide guidance and education to all Evergreen State College staff and faculty regarding domestic violence and its impact on the workplace. 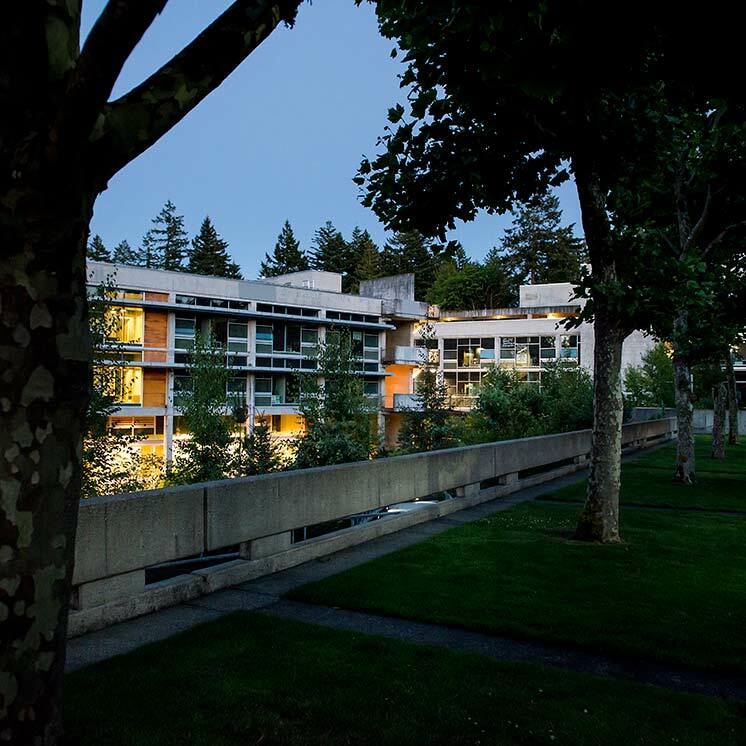 The Evergreen State College strives to provide a work environment in which employees feel safe from harm, and to addressing the occurrence of domestic violence and its impact on the workplace. Domestic violence is a serious problem that affects people from all walks of life. It can adversely affect the well-being and productivity of employees who are victims, as well as their co-workers. Other effects of domestic violence in the workplace include increased absenteeism, turnover, health care costs, and reduced productivity. Therefore, the college is committed to providing training, support, information and community resources to employees about domestic violence and expects all members of the community to address and prevent domestic violence in the workplace. Domestic Violence is abusive and/or harassing behavior that is physical, sexual, and/or psychological, and is intended to establish and maintain control over a family or household member. A Family or Household Member may include persons sixteen years of age or older with whom a person sixteen years of age or older has or has had a dating relationship, and persons who have a biological or legal parent-child relationship, including stepparents and stepchildren and grandparents and grandchildren, spouses, former spouses, persons who have a child in common regardless of whether they have been married or have lived together at any time, adult persons related by blood or marriage, and adult persons who are presently residing together or who have resided together in the past, persons sixteen years of age or older who are presently residing together or who have resided together in the past and who have or had a dating relationship. It is important that all employees know how best to respond to the effects of domestic violence in the workplace. The following clarifies roles for staff. Participate in domestic violence training. Be aware of physical or behavioral changes in employees, and consult with Human Resource Services staff, Police Services staff, and/or the Employee Assistance Program for advice. Do not attempt to diagnose the employee. Be responsive when an employee who is either the victim or the perpetrator of domestic violence asks for help. Immediately contact the Human Resource Services staff, Police Services, and/or the Employee Assistance Program for assistance. Maintain confidentiality. Information about the employee should only be given to others on a need-to-know basis. Work with the victim, Human Resource Services staff, the Employee Assistance Program and Police Services, as appropriate, to assess the need for and develop a workplace safety plan for the victim. Victims of domestic violence know their abusers better than anyone else. When it comes to their own personal safety, offer to assist them in developing a workplace plan, but allow them to decide what goes into it. If it is determined that other employees, students or clients are at risk, it is essential to take measures to provide protection for them. However, managers and supervisors should refer the victim to outside resources for assistance with their personal safety plan, as such plan must necessarily address issues over which management has no authority or control. Maintain communication with the employee during the employee’s absence. Remember to maintain confidentiality regarding the employee’s whereabouts. After consultation with Human Resource Services staff take any appropriate corrective disciplinary action against employees who: misuse college resources to perpretrate domestic violence; harass, threaten, or commit an act of domestic violence in the workplace while conducting college business; or are arrested, convicted or issued a permanent injunction as a result of domestic violence when that action has a bearing on the employee’s duties as an employee. Consider posting information about domestic violence in your work area. Also, have information available where employees can obtain it without having to request it or be seen removing it. Some suggestions are: restrooms, lunchrooms, housing common areas, or where other employee resource information is located. Honor all civil protection orders. As appropriate, participate in court proceedings in obtaining protection orders on behalf of the college. Participate in domestic violence training, maintain a list of services available to victims and perpetrators of domestic violence, provide this information to managers and supervisors when requested, and provide assistance to staff, managers and supervisors with options for handling domestic violence in the workplace. In consultation with Police Services, make referrals or assist managers and supervisors with referrals to the appropriate outside agencies such as law enforcement, community safeplace shelters, etc., and work with management to address needs of victims in the workplace. Inform employees of leave rights (see below “Use of Leave”) and facilitate process. Advise and assist supervisors and managers in taking corrective or disciplinary actions against staff engaged in workplace acts of domestic violence and maintain confidentiality to the extent authorized by law. Human Resource Services staff shall make domestic violence education available to all staff. A police report indicating that the employee or the employee’s family member was a victim of domestic violence, sexual assault, or stalking. A court order protecting or separating the employee or the employee’s family member from the perpetrator of the act of domestic violence, sexual assault, or stalking. Evidence from the court or prosecuting attorney that the employee or the employee’s family member appeared, or is scheduled to appear in court in connection with an incident of domestic violence, sexual assault, or stalking. Documentation that the employee or the employee’s family member is a victim of domestic violence, sexual assault, or stalking, from any of the following persons from whom the employee or employee’s family member sought assistance in addressing the domestic violence, assault, or stalking: an advocate for victims of domestic violence, sexual assault, or stalking; an attorney; a member of the clergy; or a medical or other professional. Tell a supervisor, manager, Police Services or Human Resource Services staff, and ask for help. Contact the Employee Assistance Program in Olympia at (360) 753-3260, toll-free at 1-877-313-4455, or via their web-site (www.dop.wa.gov/eap ). Obtain a referral to a certified domestic violence perpetrators treatment program from Employee Assistance Program. Tell a supervisor, manager, or Human Resource Services staff member. Consider obtaining civil orders for protection and make sure that they remain current and are in hand at all times. A copy should be provided to the employee’s supervisor or manager, Human Resource Servcies, reception area, and campus Police Services if there is a concern about the abuser coming to the work site. Provide a photograph of the abuser to the employee’s supervisor or manager, reception area, campus Police Services, and other affected areas. Review the travel route between the employee’s home and work. Identify an emergency contact person(s) should the college be unable to contact the employee. Identify a college contact person(s) for the employee to contact in case of an emergency. Review the employee’s parking arrangements for possible changes. Consider changing the employee’s work schedule. Consider what steps need to be taken to provide for the safety of other employees, students and clients. Consider having the employee’s telephone calls screened at work.